With the development and commissioning of our high-performance RM 95-800 W ballast cleaning machine in fiscal year 2010, we were able to contribute our many years of experience in a new machine concept. 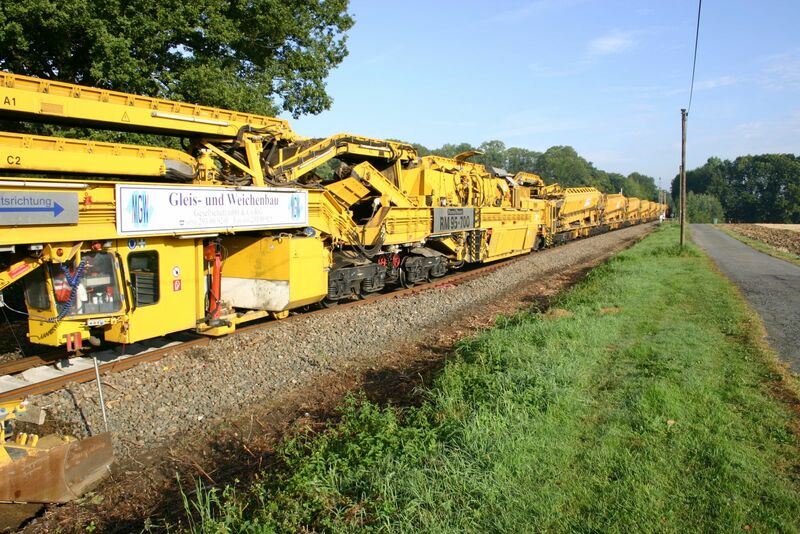 The innovative system of the RM 95-800 W enables quality optimisation of mechanical track-bound ballast cleaning, for example by means of the integrated impact mill and the washing module for washing the ballast, as well as environmentally friendly and resource-saving optimisation of the material cycle, thus reducing construction costs. The RM 95-800 W high-performance ballast cleaning machine RM 95-800 W is currently unique with this machine concept and extends our existing range of services for mechanical track maintenance. 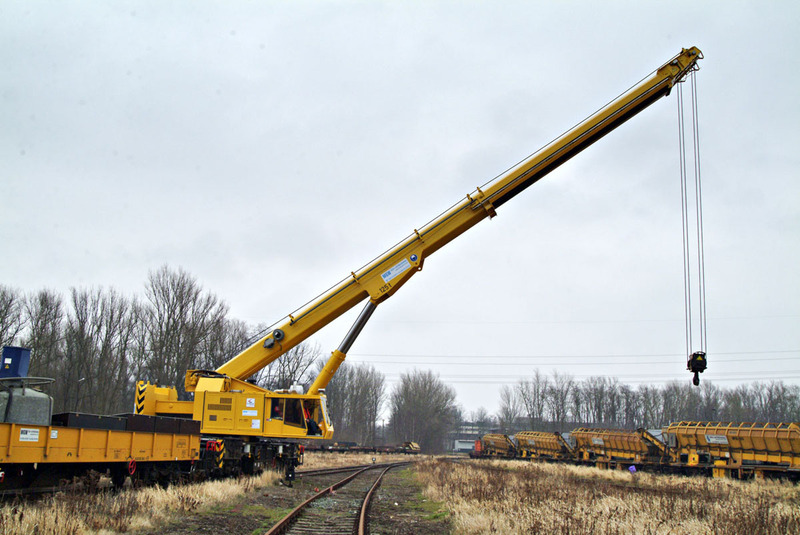 We provide our customers with railway slewing cranes for the repair or renewal of tracks, switches and engineering structures such as bridges. With our two Kirow KRC 810 track and bridge construction cranes we are able to realize effective load movements in short construction times.